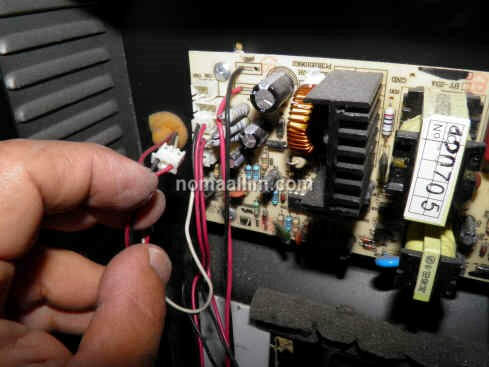 Be careful not to touch any live electrical part. 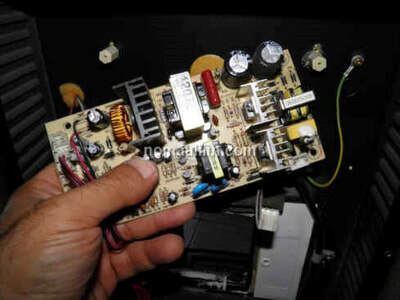 Do not intervene on a plugged or operating electrical appliance. 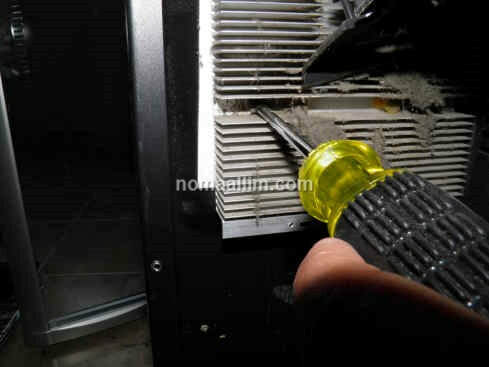 Troubleshooting the wine cooler: inspection of the fans while the unit can still be plugged in the power outlet. 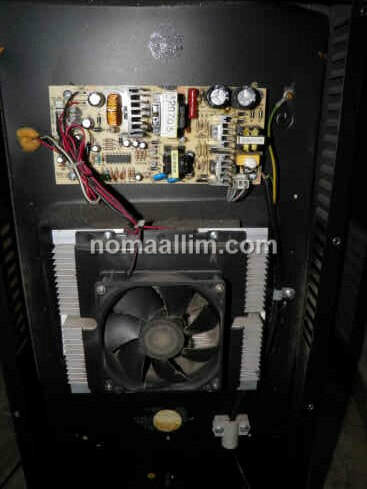 This wine cooler became quite noisy after 4 years of continuous operation. The unit could no more reach the preset temperature. 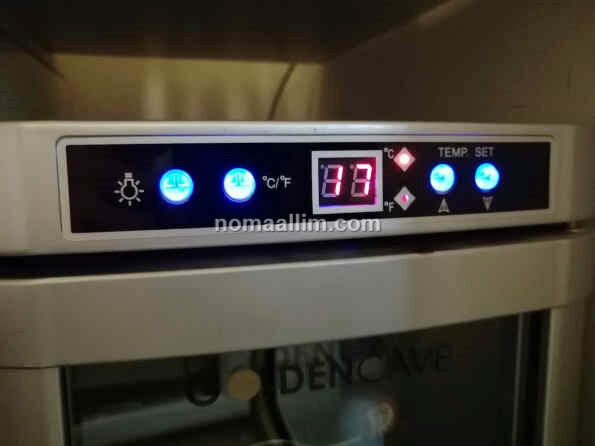 The temperature inside the wine bottles compartment remains at 25 or more degrees Celsius which is far from the ideal storage conditions for the bottles of wine. 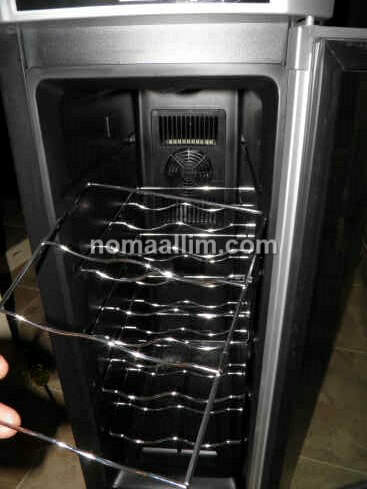 As shown below, the wine cooler is quite a quite simple appliance. Remove the back plate to uncover the rear fan and its control PCB. 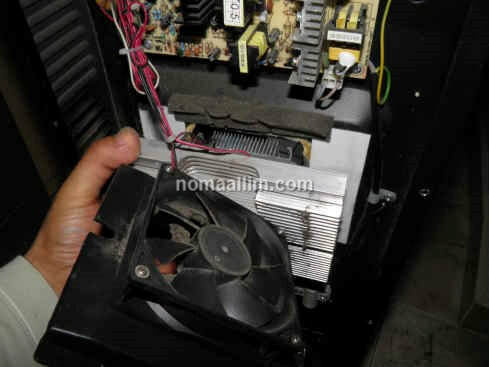 Plug the unit while making sure not to touch any live part and check if the noise comes from this fan, which was the case for this unit. The fan is no more rotating at the nominal rpm and needs replacement. 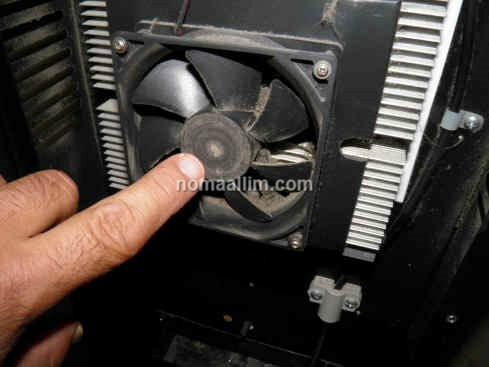 Do the same for the bottle compartment fan which can be seen after removing its cover. This one appeared to be clean and silent. A hermetic cooling unit is mounted at the back of the bottle compartment. 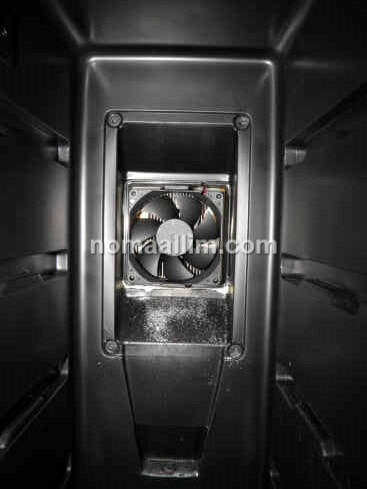 It gets cold on one side, obviously inside the bottle compartment and a small fan recirculates air inside the cooler. 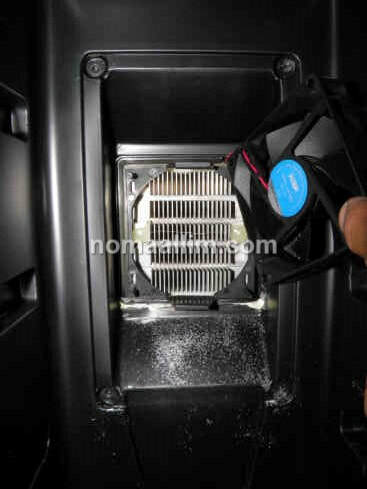 It gets warm on the other side and uses another larger fan to evacuate the heat in the room. The cooling unit, hermetic and non-serviceable. The heat evacuation fan, can be easily replaced.. 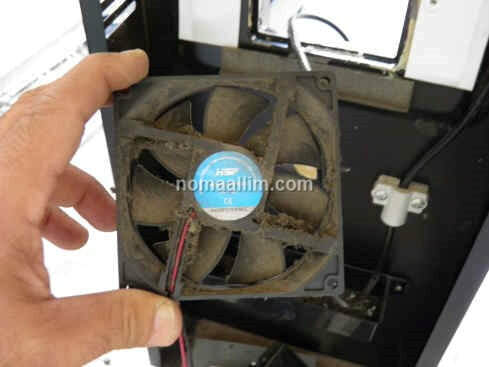 The cool air circulation fan, can be easily replaced. 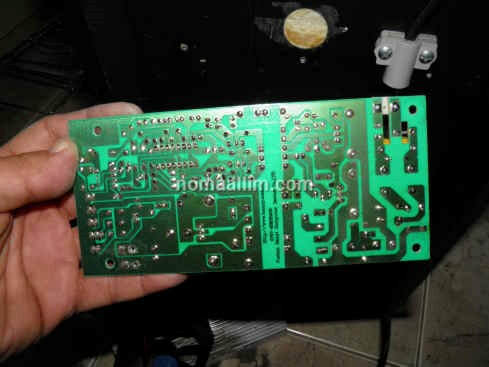 The PCB that controls all, in this particular case made with quite old and easy to troubleshoot and repair electronic components. 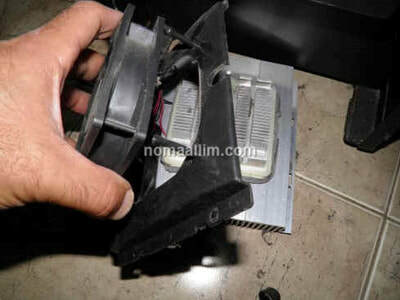 Unscrew then unplug the rear heat evacuation fan. The lower picture shows how dust and dirt has accumulated on it and also on the heat exchanger which reduces the efficiency of the cooing unit. 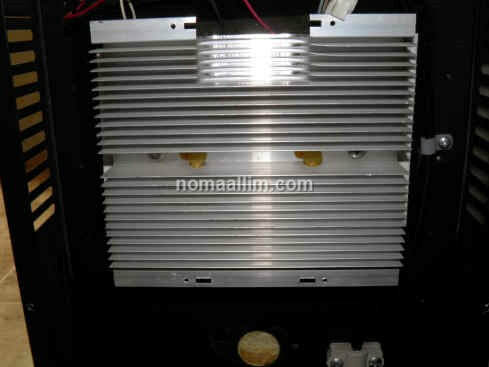 Unscrew the PCB, the cooling unit and take all out for cleaning. 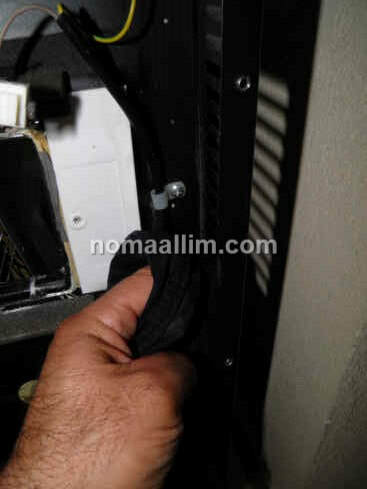 Clean the cooling unit heat dissipation fins under warm running water on any basin. 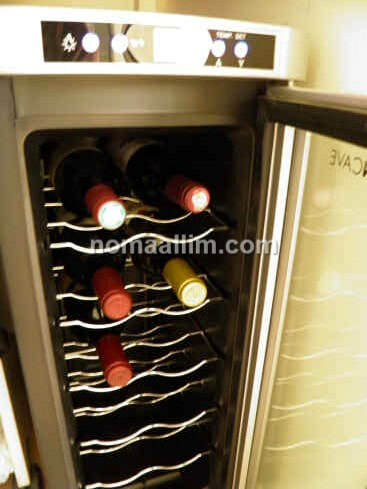 Use a damp cloth to clean well all the back of the wine cooler. 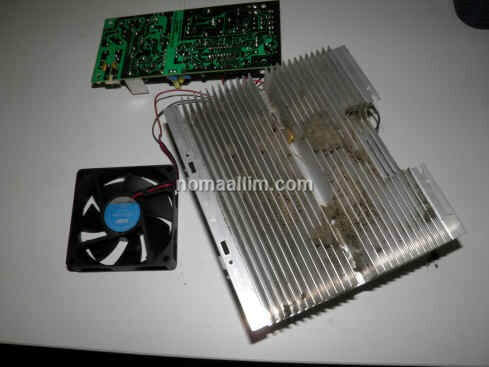 The middle picture shows how the cooling unit is now clean from any dirt. 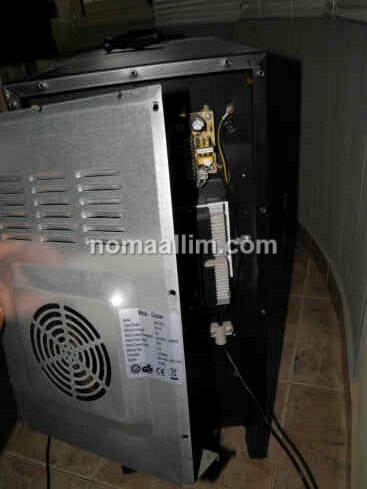 A new rear fan is fitted. 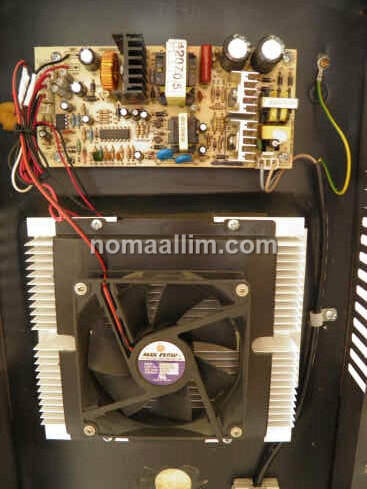 Such fans can be easily found with usually 2 types: either fans that operate on mains voltage or on 12VDC. 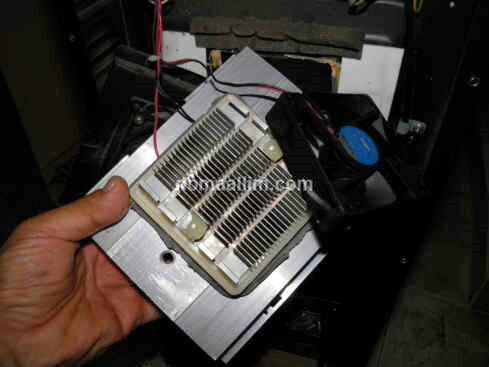 The fan is selected by its outer dimensions, in this case a 9 x 9 cm fan. 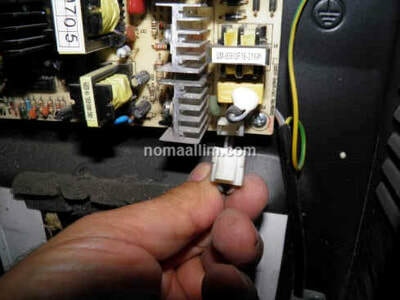 Plug the unit and make sure it reaches the preset temperature after 2 to 3 hours.